Former Chicago police Officer Jason Van Dyke is scheduled to be sentenced Fridayfor the shooting death of Laquan McDonald. In interviews and statements made by Van Dyke’s defense counsel and some pundits, one sentiment in particular has struck me — that Van Dyke should not be sentenced to prison because it would be “too dangerous” for him. While I understand that the publicity generated by Van Dyke’s case may present unique security considerations in a prison setting, as the public defender of Cook County, I find that concern both offensive and disheartening because it ignores that prison life is unsafe for everyone who is locked up. For decades, studies and experts have noted the danger of prisons across the nation. We need go no further than a local article two weeks ago that detailed the hell suffered by Anthony Gay, who expected to serve 3 ½ years in prison for robbery in 1994, but spent 22 years in solitary confinement. His mental state deteriorated to the point that he mutilated himself just to have human contact. A quick tour of the articles posted on The Marshall Project website finds headlines such as “Death In Illinois Prisons: He Didn’t Have A Death Sentence, But That’s What He Got” and “… Mentally Ill Inmates Abused, Inadequately Treated In Illinois. Where is the outcry when one of my clients, most of whom are people of color, is charged with a non-violent offense, such as theft or driving on a suspended license, and sentenced to prison? Where is the outrage for vulnerable teenagers and young adults who are locked up, abused and afraid for their safety? The impact of the prison environment is also tragically racist. At the Illinois Youth Center in Harrisburg (near the southern tip of Illinois), six juveniles who allegedly shoved or spit at a correctional officer were charged in 2017 as adults and sentenced to lengthy prison terms. And, by the way, almost every juvenile charged was African-American, while 90 percent of the officers were white. Then-Gov. Bruce Rauner recognized the injustice of what was happening and commuted the sentences of all the juveniles involved. 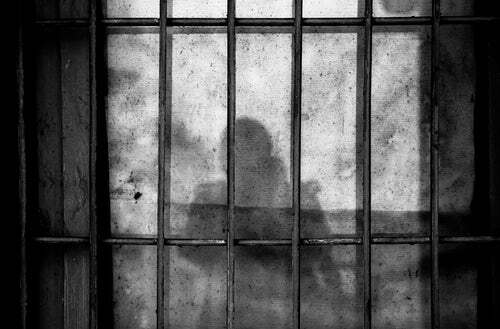 The purpose of imprisonment historically has been threefold — to deter others from committing crimes, to isolate dangerous people from the rest of society and to rehabilitate offenders to prevent future crimes. Our prison system has failed miserably in all three areas. Drug users, who need treatment and not isolation, are sent to prison where they become more dangerous. The mentally ill, who need help and services, are instead warehoused and exploited. The vast majority of those sentenced to prison are released without any rehabilitation, education or learned job skills. Prison is an unsafe environment, but it is unsafe for everyone, not the privileged few. It is unsafe for adults and especially youths, who can be exploited with devastating consequences. Prison needs to be reformed, into a place where mental health treatment is provided, real education and job skills are taught and social workers provide assistance for safe transition back to communities. Being in prison, locked away and subject to abuse by others, without access to mental health or medical treatment, is by any definition an abuse of our most vulnerable and weak members of society. Amy P. Campanelli is the public defender of Cook County. To Read this commentary at the Chicago Tribune click here.